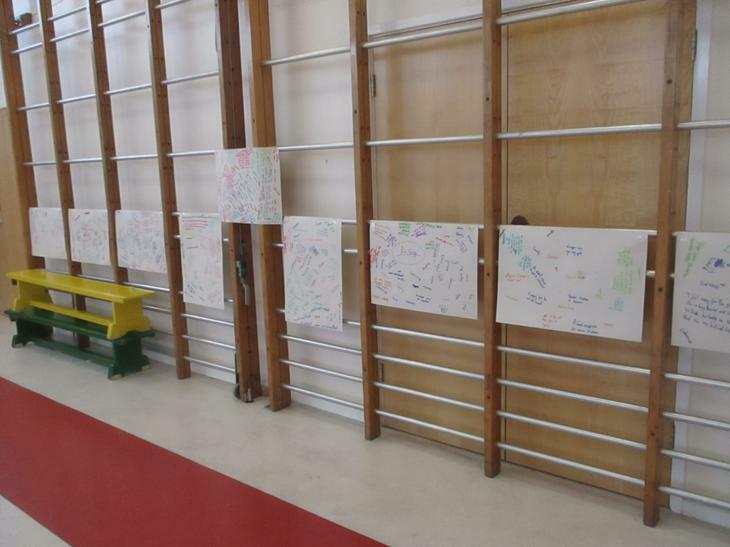 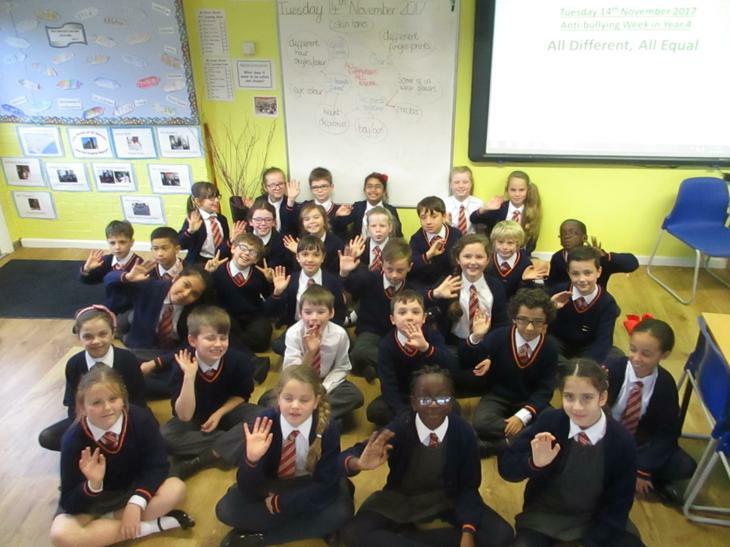 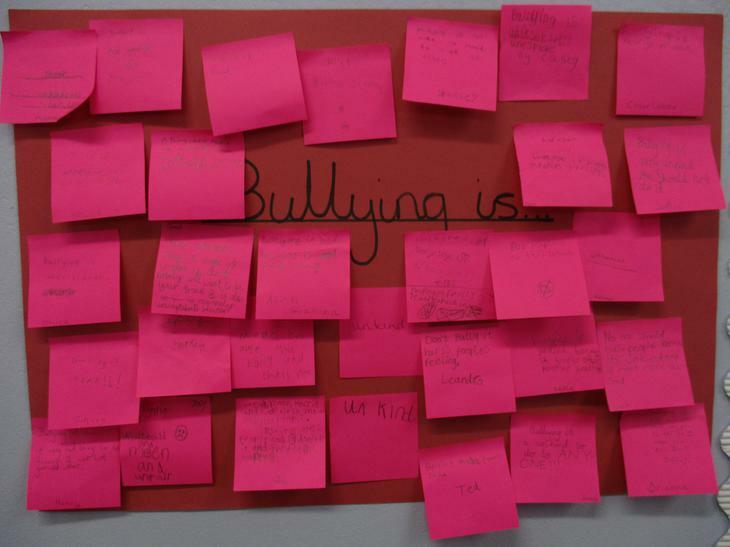 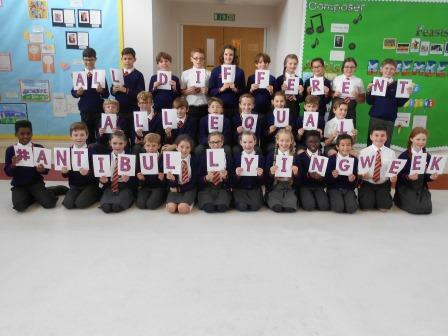 This week, all classes have been investigating the Anti-Bullying Week theme of 'All Different, All Equal'. 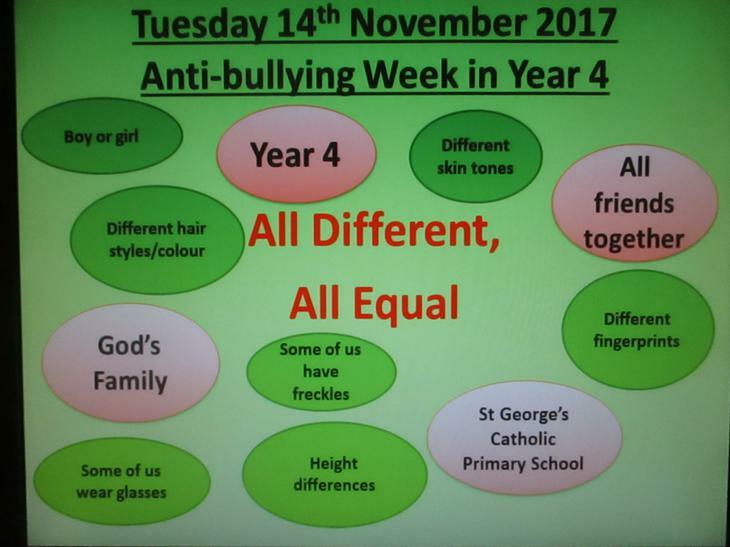 Our assemblies during the week focused on this theme, the whole school saw that we are all part of God's family, then EYFS and KS1 looked at the book 'It's Okay to be Different' by Todd Parr. 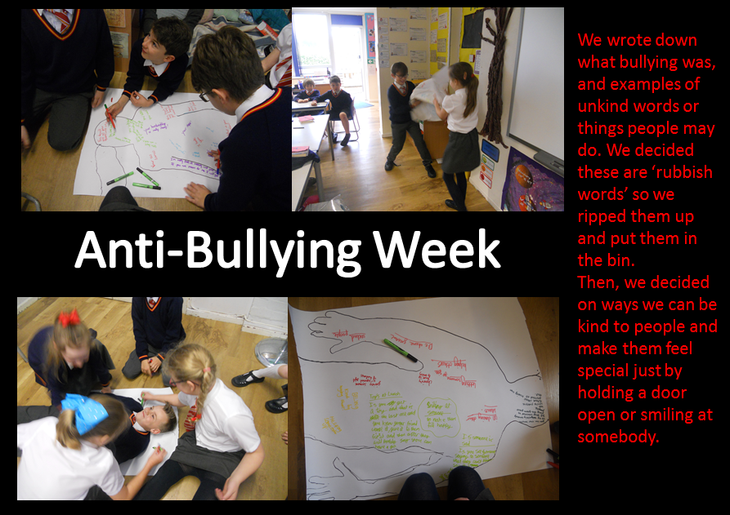 Our KS2 children watched ‘In a Heartbeat’, a short global award winning film about how one child can make a big difference in the lives of many and then worked together to record their thoughts and feelings, what examples of bullying were shown and how these can be overcome. 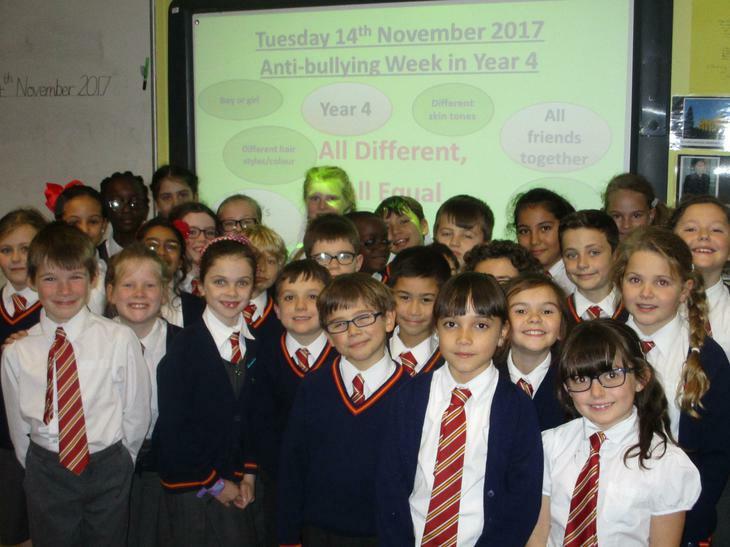 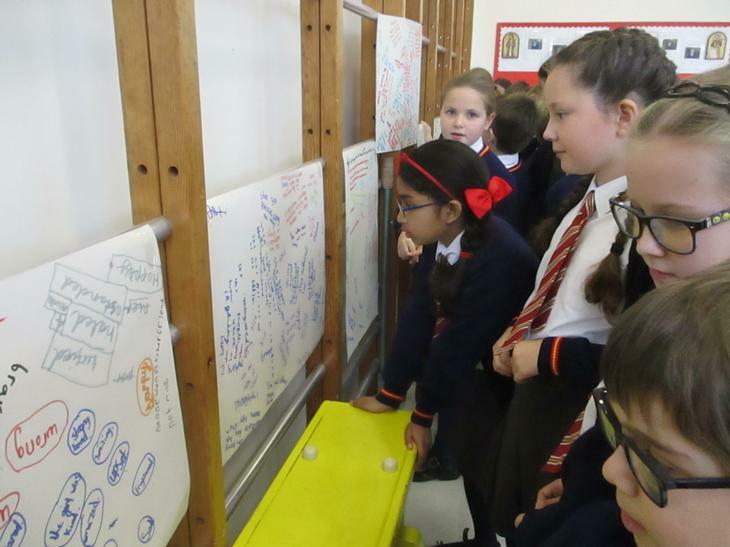 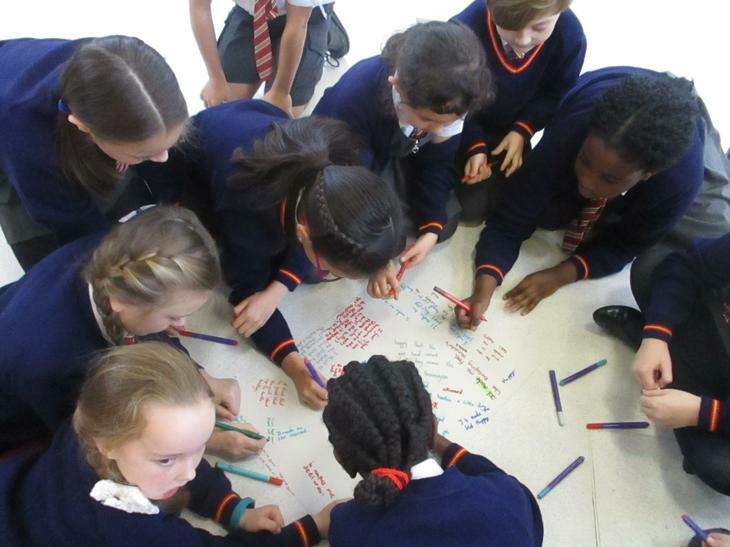 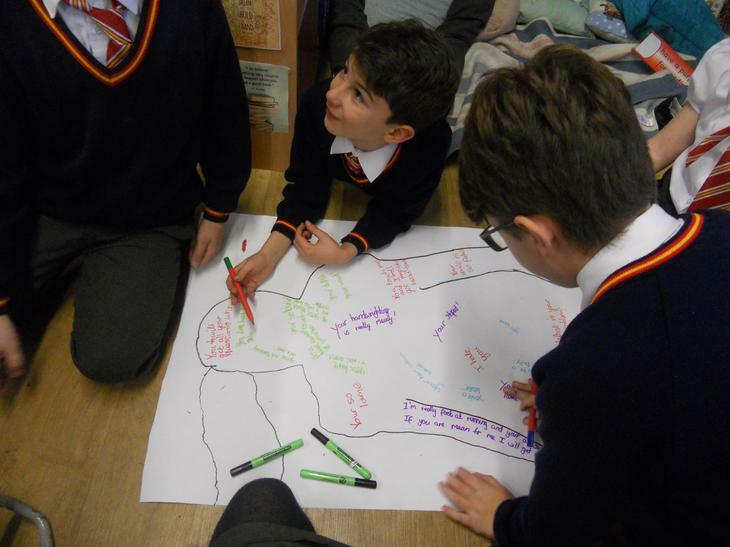 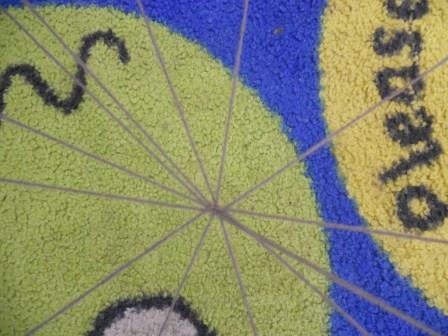 Across the week Year 2 made a wonderful Friendship Web and Year 6 discussed the importance of difference and diversity in the people around us. 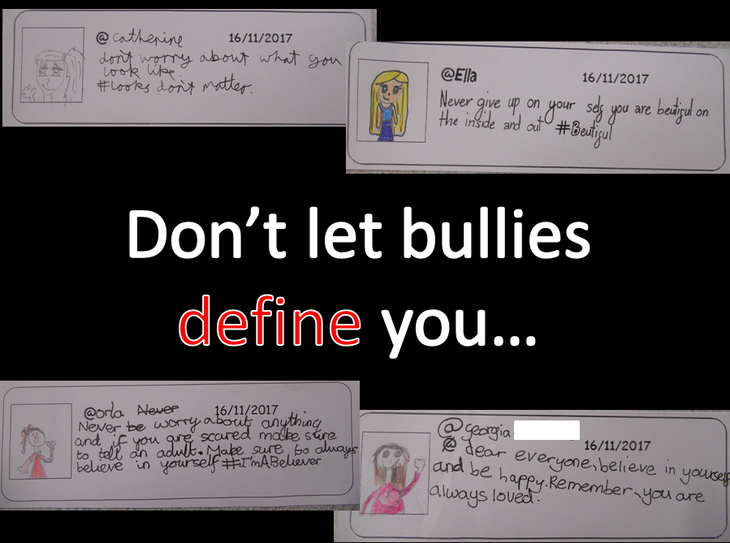 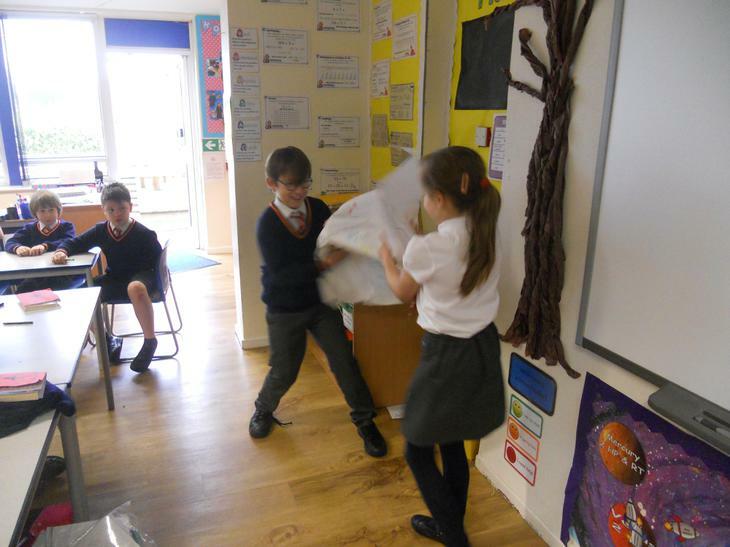 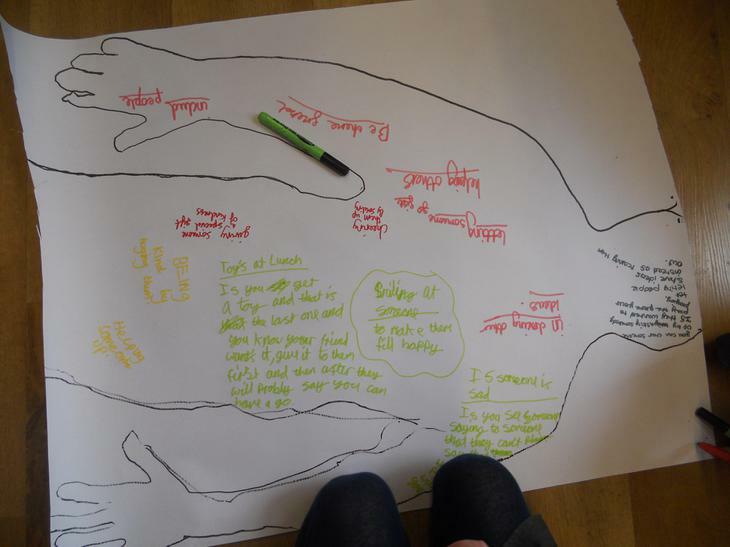 In Year 5 they binned the characteristics of bullying and thought about simple ways to make other people feel special. 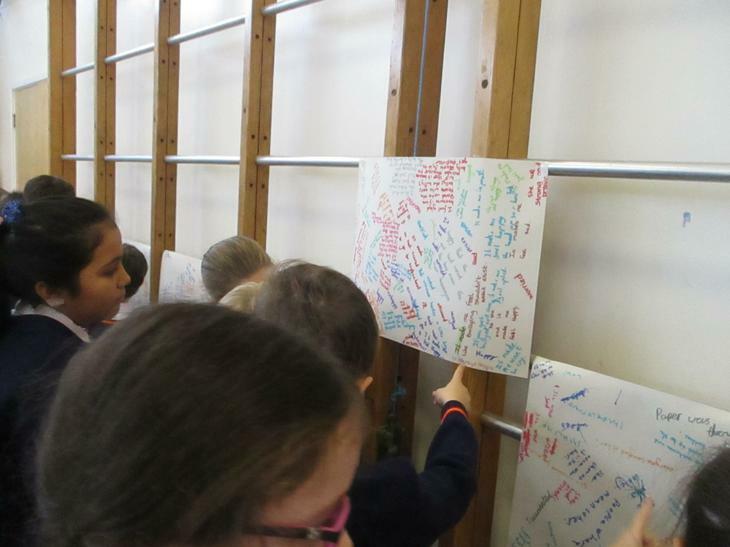 At the end of the week children from each class shared their experiences in our Celebration Assembly.